I'll admit, I didn't have high hopes for this. Once upon a time Minute Maid's orange soda was mandarin orange and it was pretty dull. Thankfully I was way wrong about this one. There is a mandarin flavor going on here, meaning it's orange but not. 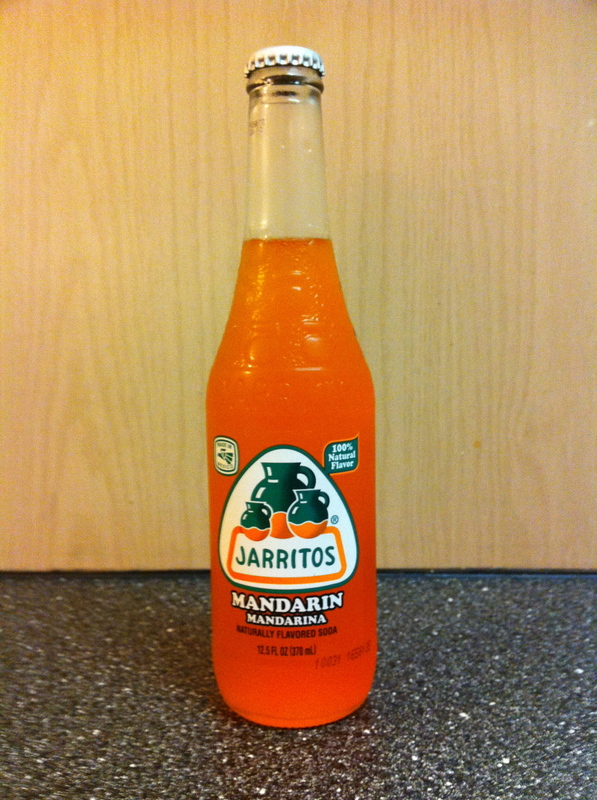 It's also got a sweetness to it that mandarin orange sodas usually don't have. The ones I've had before have been just weak and not very sugary, but this is the opposite. Very sweet, full of flavor, and just enough of a "different" kind of orange taste that really sets it apart from other manadarins and all other orange sodas in general. I don't have anymore to say about it. Being a Jarritos product it is made with sugar and not HFCS. If you're looking for an orange soda but you're kind of tired of the run of the mill ones out there, this really is something that sets itself apart but still satisfies.